There's no place like home, and now the classic '80s sitcom 227 has another cable home starting in January. 227 will be airing on Logo starting Monday, January 1, 2016 at 11:59pm with a block thru 4am that night. 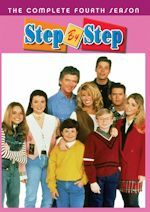 As with all other Logo sitcoms, it will air in random marathon blocks throughout the week joining other fellow sitcoms like The Facts of Life, The Golden Girls, Soap, A Different World, Sabrina the Teenage Witch, Will & Grace, Bewitched, I Dream of Jeannie, Designing Women, Roseanne, Just Shoot Me and Samantha Who? 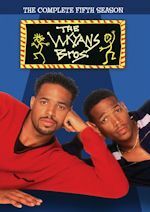 Back to 227, it was last seen on Encore Black, but child, they stopped airing it last month. The sitcom was also on UP TV for many years. 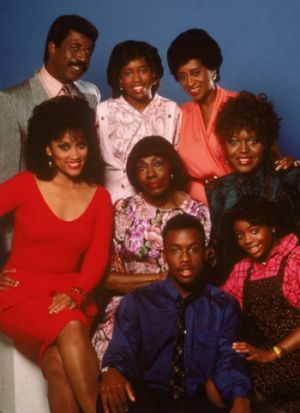 The series starred Marla Gibbs as a sharp-tongued, inner-city resident gossip and housewife, Mary Jenkins, and aired from 1985-1990. 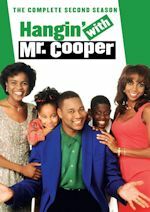 The series also starred Hal Williams, Alaina Reed Hall, Jackée Harry, Helen Martin and Regina King. The Museum of Broadcast Communications and Antenna TV are pleased to announce "Here's Johnny! The Making of the Tonight Show Starring Johnny Carson," an exclusive exhibit of Carson memorabilia coming to Chicago in January. The exhibit will run next year at the Museum of Broadcast Communications in the Paul M. Lisnek Gallery from Tuesday, January 12 through Saturday, October 15, 2016. The exhibition has been created by Jeff Sotzing, Johnny's nephew, former Tonight Show producer and current president of Carson Entertainment. The exhibition and museum tour are organized by Fullerton Museum Center in Fullerton, California, where the exhibition first launched. Johnny Carson, the undisputed King of Late Night TV, signed off in 1992 and "Here's Johnny! The Making of the Tonight Show Starring Johnny Carson" exhibition items on display come directly from Johnny's personal collection from the show, including photographs, artifacts and costumes from his memorable characters, El Mouldos Cape, Aunt Blabby's granny dress and Floyd R. Turbo's hunting coat and cap, as well as an outfit from Doc Severinsen's wardrobe. A replica of Carnac the Magnificent's turban will also be part of the exhibit (on loan from the University of Nebraska.) Also on display: Carson's coffee mug, his famed Rolodex of Hollywood’s elite and a selection of cue cards and scripts from actual monologues. "The Here's Johnny! 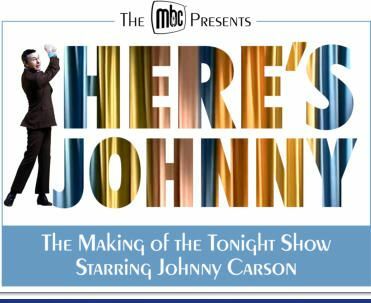 The Making of the Tonight Show Starring Johnny Carson" exhibition is mounted in conjunction with Tribune Media's Antenna TV, which will begin airing full Johnny Carson episodes nightly starting on January 1. Antenna TV, available in 125 US markets, including all of the country's Top 35 TV markets, will tuck America in each weeknight, with a 60-minute classic Carson episode airing at 11 pm ET/8 pm PT, with a rebroadcast at 2 am ET/11 pm PT. 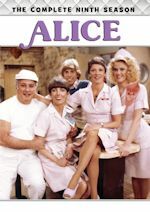 On weekends, Antenna TV will run 90-minute episodes at 10 pm ET/7 pm PT, with a rebroadcast at 1:30 am ET/10:30 pm PT. This is the first time the Carson episodes will air in a strip since he went off the air in 1992!